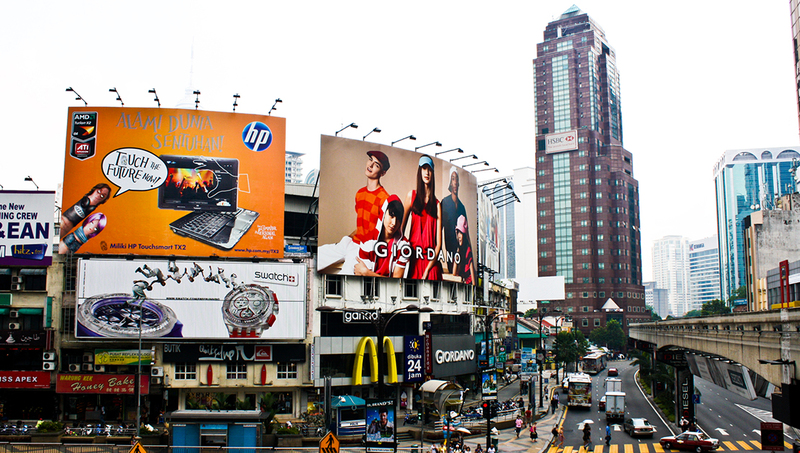 KL, as the locals call their home, offers a great spectrum of activities. 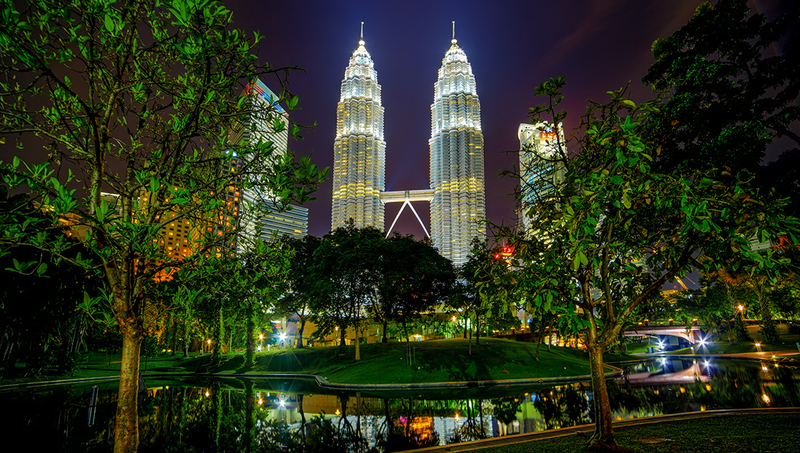 Shop til you drop in Bukit Bintang, gaze upon the city from the top of the Petronas Towers or find serenity in the parks. Day and night, Malaysia's capital has something for everyone. 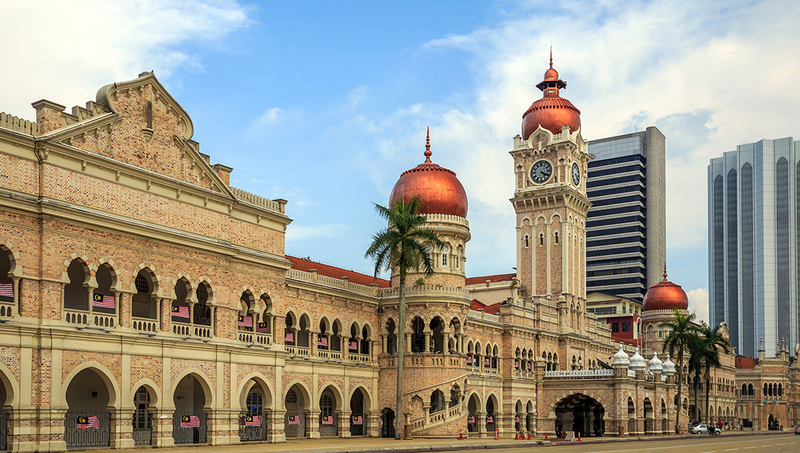 The Sultan Abdul Samad Building, which dominates this Independence Square, reflects the influences of Mughal architecture, a mix of Indian, Persian and Islamic design. 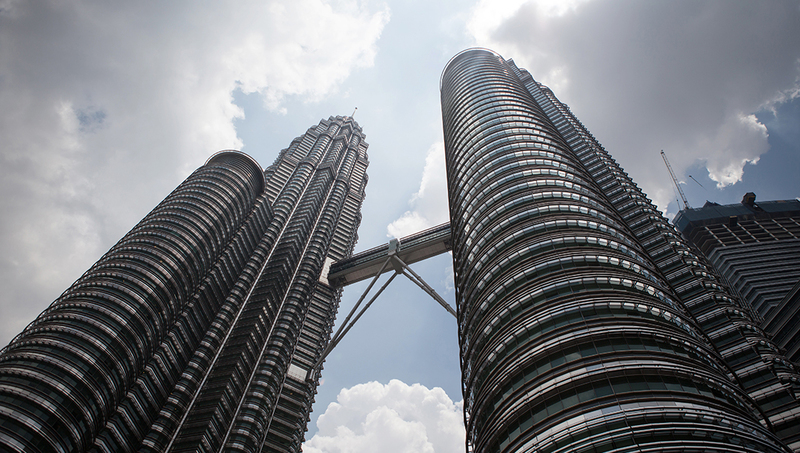 17 acres of lush greenery at the base of the Petronas Towers offer respite during a day of sightseeing. Don't miss the Lake Symphony water display of the two fountains. At 1,483 feet these twin towers are the city's iconic symbols. The double-decker skybridge, which links the two buildings on the 41st and 42nd floors, is 558 feet above the ground. Walk among the sea creatures down a 295-foot-long glass tunnel.Other aquarium exhibits include a shipwreck and piranha tank. Don't miss the sharks' feeding time at 3:00PM. While dining at the revolving restaurant 900 feet above the hustle and bustle of the capital city, this broadcasting tower offers a sweeping panorama of twinkling city lights. This central district, also known as Bintang Walk, is abuzz day and night, and locals and visitors alike will find all their shopping, dining and entertainment needs fulfilled. Mind the cheeky monkeys on the way up the 272 steps, which lead to the entrance of three caves. The Temple Cave has a 300-foot-high ceiling and houses sacred Hindu shrines. 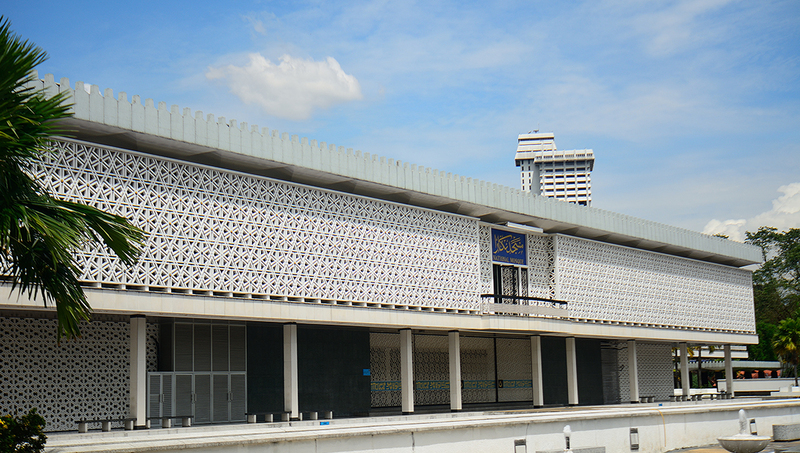 The 18 points on the main, star-shaped dome represent Malaysia's 13 states and the five pillars of Islam. The grounds also contain wonderful gardens and white marble pools. 3,000 birds call this park home, where two areas allow them to come and go as they wish. Visitors have a unique experience to admire some 200 species in a natural habitat setting. Visitors will find an Asian-style Las Vegas at Genting Highland, complete with hotels, casinos and a theme park on a mountain peak above the rainforest. The observation deck and skybridge are open from 9:00AM-9:00PM Tuesday - Sunday; closed Mondays and between 1:00PM-2:30PM on Fridays. Tickets cost RM 84.80 and are limited every day. Therefore, it's recommendable to purchase tickets in advance online. 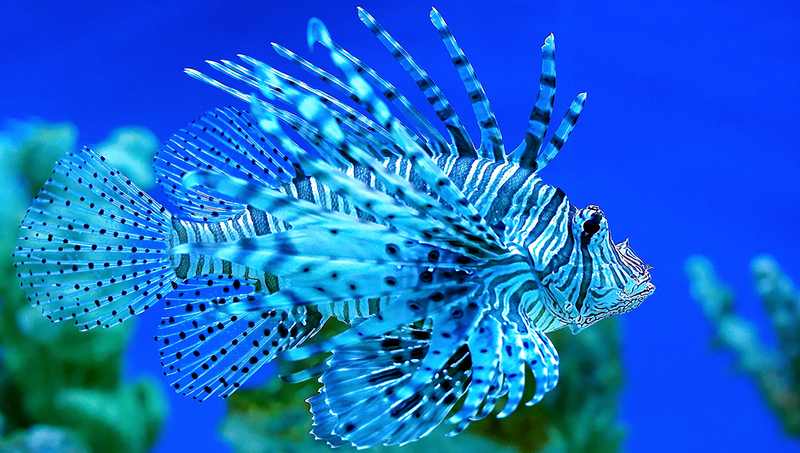 The Aquaria is open daily from 10:30AM-8:00PM and costs RM 53.00. 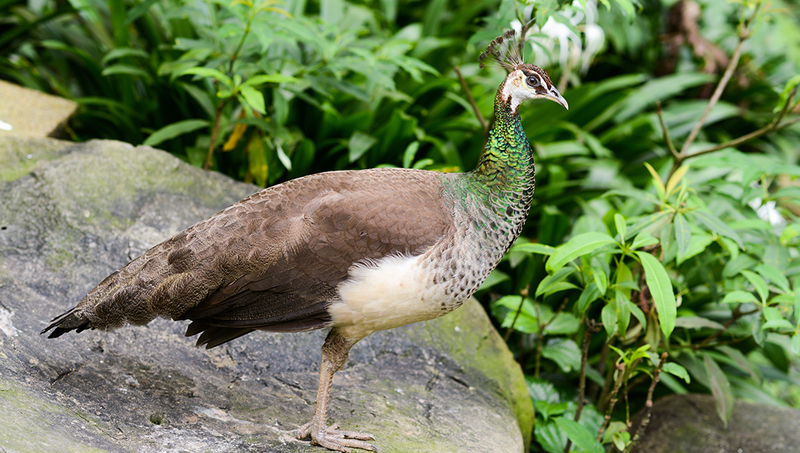 The Bird Park is open daily from 9:00AM-6:00PM and costs RM 50.00. 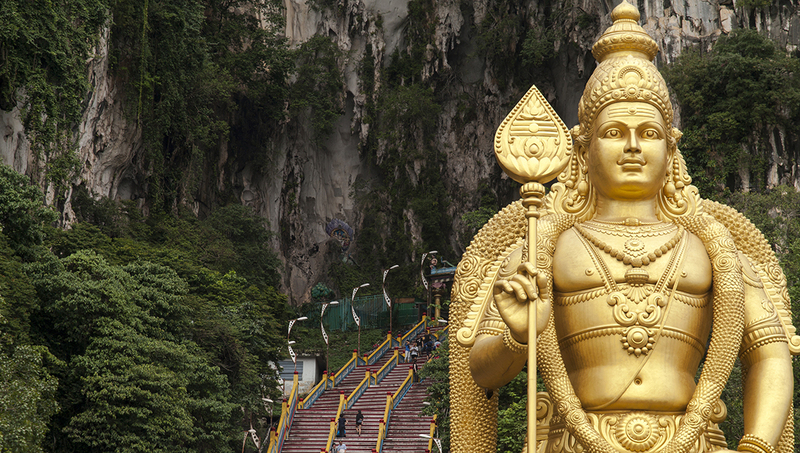 How do I get to Batu Caves? There is direct KTM Komuter train service, which runs every 30 minutes from KL Sentral Train Station to the Batu Cave Komuter Station. A one-way ticket costs RM 2.00. Opening hours are daily from 6:00AM-9:00PM, admission is free. How do I get to Genting Highland? Buses from KL leave daily, and the trip takes approximately one hour. 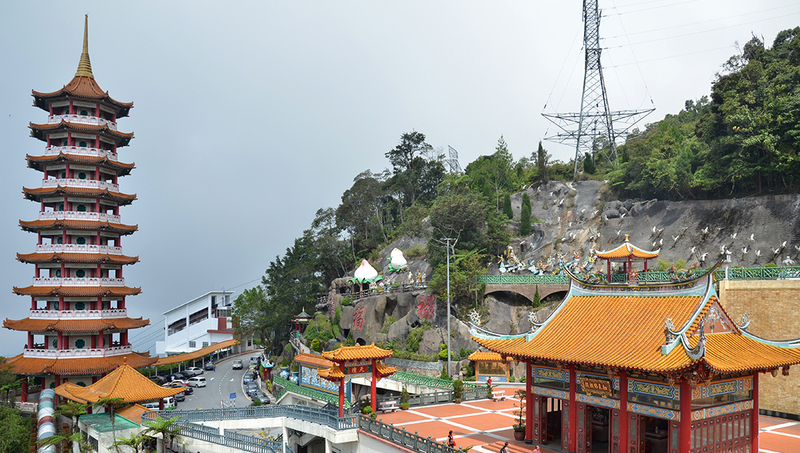 Some go directly to the resort area, while others stop at Genting Skyway; visitors can take a cable car from there. The theme park is open from 8:00AM-10:00PM, and admission for a day-pass is RM 38.00. Visitors can also purchase a two-day pass and express lane tickets. Warm temperatures and unexpected rainstorms occur throughout the year, making one season no better than another for a visit.